Intel said on Wednesday that 75 Ultrabook models are already in development and will include new form factors such as hybrids that can switch from laptops to touchscreen tablets. The chip maker also expects Ultrabooks will reach a starting price of $699 within several months by the back-to-school period this year, as the company works to boost retail visibility of the Ultrabook form factor through a new marketing campaign. Currently Ultrabooks are priced from about $800 upwards. Intel announced the Ultrabook concept last May, aiming to create new laptops that are not only thin and light, but also feature long battery life and quick turn-on times on par with tablets. To support the development, Intel has invested $300 million in companies that develop new technologies for Ultrabooks. Since the announcement, 21 Ultrabook devices have hit the market, but more are on the way, said Kirk Skaugen, Intel general manager for the PC Client group. 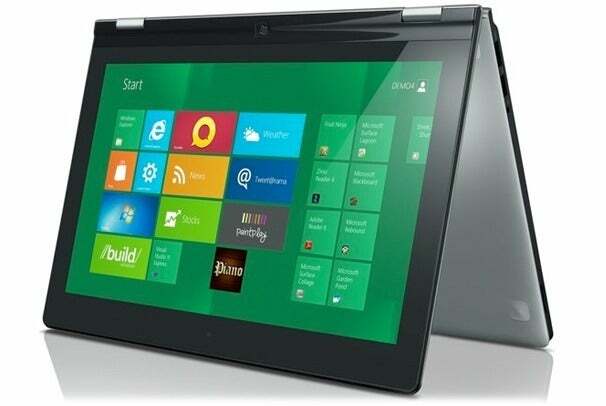 Newer Ultrabooks will come with several new features including touchscreens for Windows 8 and hybrid designs, he added. "I think we can deliver the best of a tablet, and the best in what (users) know in a notebook," Skaugen told reporters. Earlier this year at the Consumer Electronics Show, Lenovo unveiled an Ultrabook device called the IdeaPad Yoga, which has a touchscreen display that can flip into a tablet. The device runs Windows 8, which Microsoft will release later this year. To highlight Ultrabooks, Intel has launched a "multi-hundred million dollar" advertising campaign for the devices, which will lead to new TV and Internet advertisements, Skaugen said. As part of the campaign, Intel will also create "Ultrabook experience zones" in retail stores, to better set apart the devices from traditional laptops. "In order to be compliant to that section, you have to meet a series of tests that Intel is putting in the market place," he said. These tests require devices to meet set requirements, including how thin the device is and how fast it accesses data. "Intel plans to ensure Ultrabooks have a consistent experience. And if it's too thick it won't be called an Ultrabook," Skaugen said. "It won't be allowed to be called an Ultrabook because Ultrabook is a trademark of Intel and we can protect the trademark."